This review is brought to you by a by a new gaming mind, Cass Shields. I have had the good fortune of talking games and hardware for the last couple months and decided to shoot a review opportunity his way, so without further ado, I will let Cass do his thing. 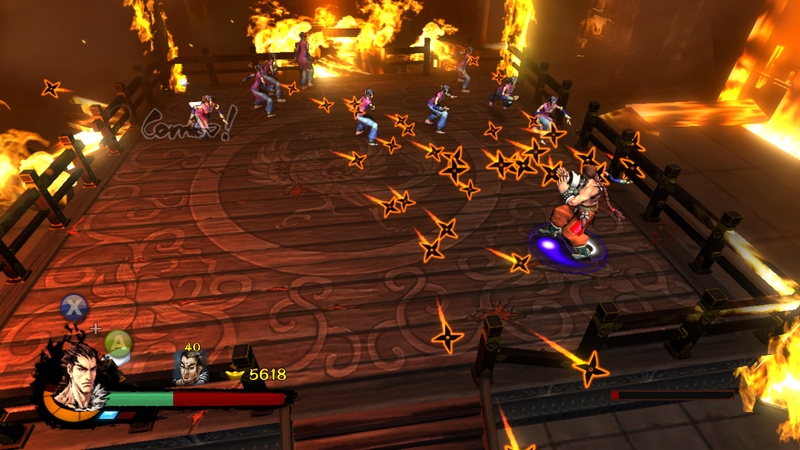 Kung Fu Strike: The Warrior’s Rise is a fast paced 2D action game that packs more than a novel punch. The story revolves around the warrior named General Loh who aims to avenge his father’s death in the midst of China’s civil war during the Tian Empire. Loh follows the words of wisdom from Master Mo who bestows the knowledge needed for redemption. Will General Loh’s fury be enough or will it be fatal? Kung Fu Strike offers several modes of play including Single Player & Co-Op in addition to seeing your rankings on the Leaderboard. The gameplay reminiscent of RPGs which consist of battles against foes in different settings along the storylines. Your fight style will improve through experience and visiting a store to acquire more skill sets and equipment. Once equiped with Kung Fu grip you’ll be pulling off 40+ hit combos in no time. I really enjoy the fast paced action in combination with the visual graphic style which is a meld of Fatal Fury meets Street Fighter 4. Something old meets something new, the yin and yang of 2D fighters. The gameplay is simple and easy to learn but is enhanced by discovering new special moves and building your combo chain. 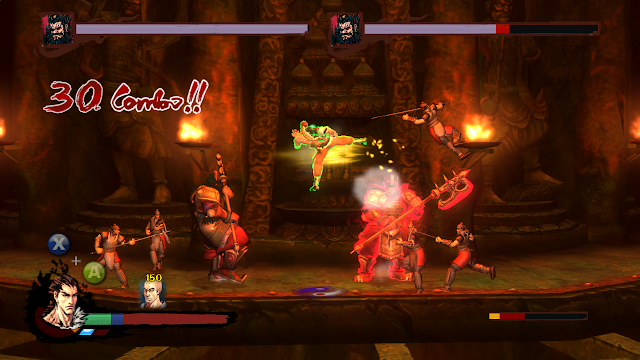 Every combination is a product of your fighting style and you can extend your combos by juggling your enemy. What I loved was the 2 Player Co-Op mode. Who makes those anymore? The fact you can play with someone that is sitting next to you gives the gamer feeling from the NES days. This mode helps you absorbs the gems found in the game that you wouldn't really notice while playing the single player mode. What this title really lacked was a memorable soundtrack. I honestly can’t remember a thing about the music in this title. Thinking back on memorable 2D fighters what made them great were the sound effects and the background/stage music. Also, the fast paced action seems to overpower the story line. The pace is so fast that you are literally taking a breather in- between battles so trying to focus on reading the storyline becomes cumbersome. 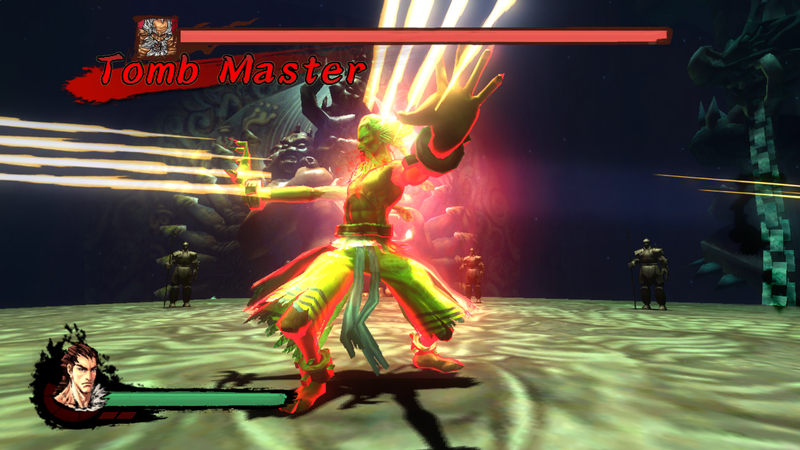 Overall if you are looking for a traditional 2D fighting title, take a jab at Kung Fu Strike: The Warrior’s Rise. Sure to fulfill your needs in terms of fast paced action , Kung Fu, and a solid storyline; it is a must have for anyone looking to inflict a little Kung Fu kickass. Be advised after hours of playing you may need to ice your thumbs. Login and get this title for an epic battle of fun as it is available online today for download.